We, Propel Steps, the publisher of the book Blank Space have decided to give away a few copies to GoodReads followers as a token of gratitude. 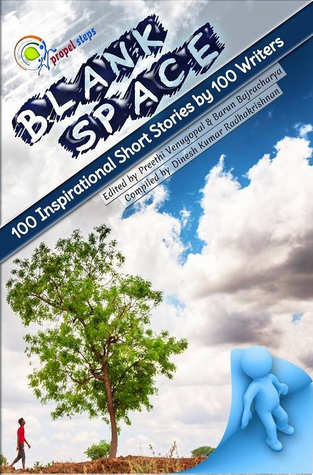 A chance to get a free copy of the book of 100 inspirational stories – BLANK SPACE – Filled with Inspiration. 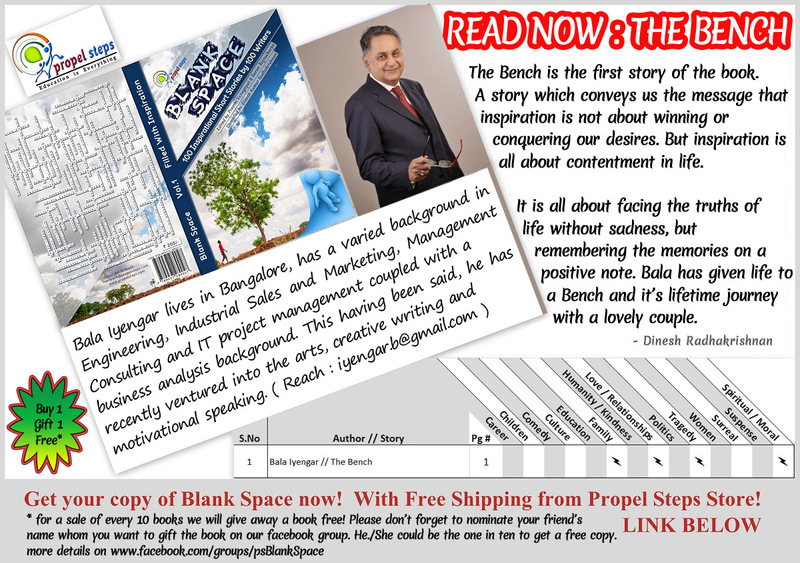 A book in which you can find the inspiration whatever you are looking for. Written by 100 different Authors and on multiple genres with inspiration as a common thread. Just enter the giveaway, you may be the lucky one to get a copy. Explaining any issue can be simple, but solving the issue is complex. I aimed to do the both via ‪#‎PropelSteps‬. After almost two years of home work, learning and hard work. Now I am changing the gears. Propel Steps : Education is Everything is shaping up at a great pace and magnitude now. “The Dirt We Eat” and “Fake Truth” the unique twin projects will be our second milestone after the completion of Voice Of Little Hearts. I need your support friends. Whatever may be your expertise you can share your knowledge to make this society better. That is what education is all about. Join us if you like us. We shall make new roads. You may see child labour is not a serious issue or you may choose to presume that child labour happens only in movies. Because it is not happening anywhere in your circle. If you think like that then it is time now to wake up. The very product you use, the food you eat or the brand you feel proud of using may have some children’s tears behind. There are millions of child labours and hundreds of them are being saved by eminent social workers like Kailash Satyarthi and organisations like child helpline in India. Believe me, concerning about them is the first step of any possible big changes. There are many organisations who are working passionately to eradicate child labour, you can join them, donate for them and help them to continue what they are doing. You can be a Volunteer if you wish to get involved directly. Doing something is always better than doing nothing. Closing your eyes doesn’t mean that nothing happens around you. Watch the documentary to understand what happens actually, which is just a sample of what is happening. Be concerned. Do something what you can than doing nothing. To increase the awareness in the society about the importance of Children. We should treat them as our gifts, our future and ensure we care for them. To help the children in need. Specifically the children who live normal lives but facing serious issues. To create a community of people who are caring for children at root level in your locality so that this process will keep on going. If you are an expert / activist you can join our Leader Panel to help the kids by guiding the children / parents / society.